White Knight attended Semicon West 2014 to release new fluid handling solutions and to present important technical data from tests done on the closed-loop control systems. The response from distributors, OEMs and customers was overwhelming. 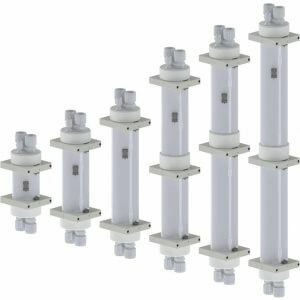 White Knight released many new products including, electronic metering pumps, universal filter housings, pressure vessels and pressure regulators. Learn more about White Knight’s closed-loop control systems at https://wkfluidhandling.com/closed-loop. The much-anticipated PEM050 electronic metering pump was on display at Semicon West 2014. The pump is designed for chemical replenishing, blending, dosing, and spiking applications. It features a fully-swept fluid path and can dispense up to 50 ml of high-purity chemical with ±0.01% repeatability at high pressures (60-80 psi). 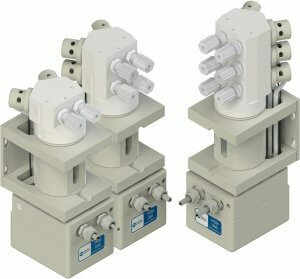 White Knight’s two-chamber and four-chamber filter housings can use any type of filter in parallel or series (in-line) operation. They combine compact size, superior containment, and high-flow performance. 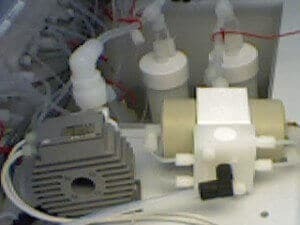 The housings contain no metal parts and allow for filters to be changed without disconnecting liquid lines. They may be installed with industry standard fluid connections without use of NPT threads. White Knight PTFE and PFA pressure vessels provide laminar flow at the point of use and serve as chemical holding or mixing tanks. They are available in 3-inch or 4-inch diameters and in various connectable pipe lengths. 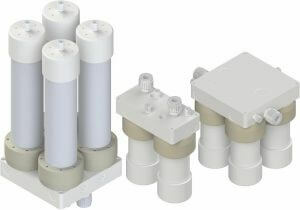 They feature configurable port connections, and PTFE manifold ends can be designed with more ports or integrated valves. 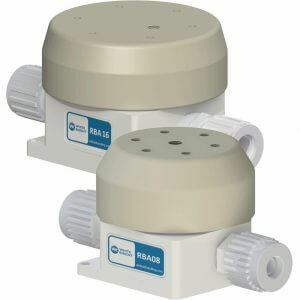 White Knight’s high-purity forward and back-pressure regulators offer remote piloting capability to maintain system pressure for chemical circulation loops and systems with multiple tool drops or dispense points. They are capable of temperatures up to 100°C (212°F) and pressures up to 7 Bar (100 psi). They are air-spring loaded, highly accurate, and reduce system pulsation.